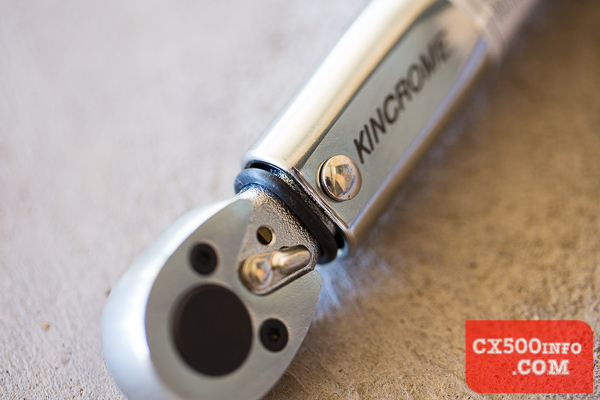 Kincrome have a reasonably priced micrometer torque wrench - the MTW200I - that's easily available. How does it stack up? Read on for our review! Further along we have a sticker warning us against unscrewing the nut at the bottom all the way, and reminding us to leave the torque wrench at zero setting when not in use to prevent the internal spring from stretching and reducing the accuracy of the wrench. ...tightening the locknut again and you're set to go. 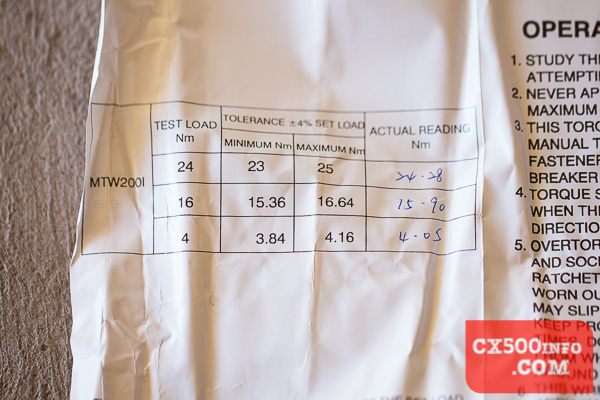 It has a range of 2 to 24nm - or 17.7 to 212.4 inch-Lb. If you're looking for a ft/lb scale to compare to a bigger torque wrench, that converts to ~1.5 to ~17.5 ft/lb. This is a handy range for many lighter-gauge screws on motorcycles and cars - things like small bolts holding on engine covers which screw into aluminium threads often require very low torque settings which are out of range of many 3/8" drive torque wrenches. As you can see this one is well within the specified tolerances. In use, once you reach the desired torque setting there is an audible click and you can feel the torque wrench release the tension. 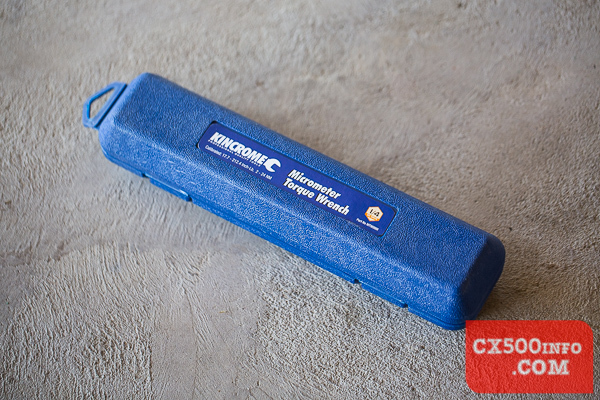 This is certainly convenient when compared to the older, beam-style torque wrenches where you had to have a clear line of sight to the torque reading. The audible and tactile indicators make it possible to use it at angles where you don't have clear sight of the wrench, which is good news for when you're reaching around to the other side of an engine bay to access a bolt. 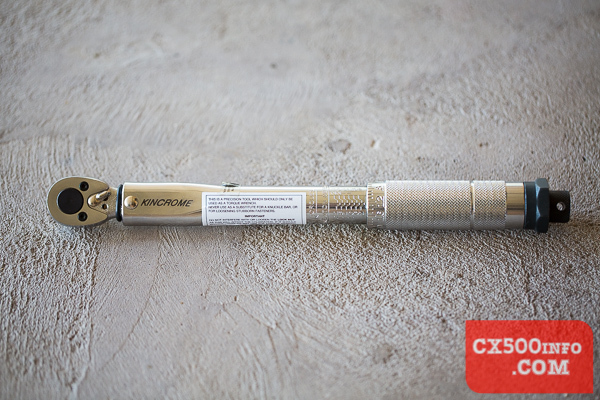 This style of torque wrench does have the disadvantage of having to be returned to zero after use to prevent the spring from stretching, as we mentioned above - the deflecting beam type don't have this problem as they lack any tension in their default state. It's not really a big disadvantage, so long as you can remember to do so after use. 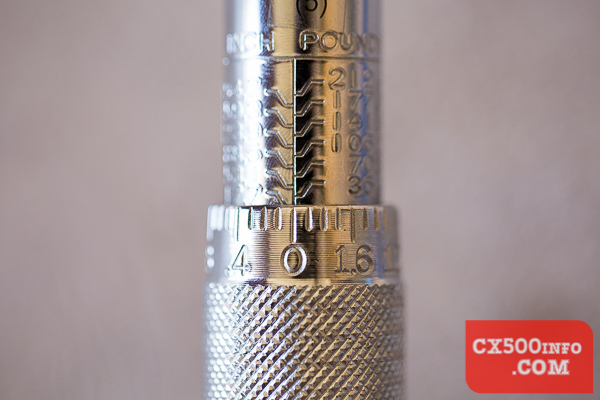 An advantage of the micrometer type is that it can measure torque in both directions; the deflecting beam wrenches can typically only measure in a single direction. 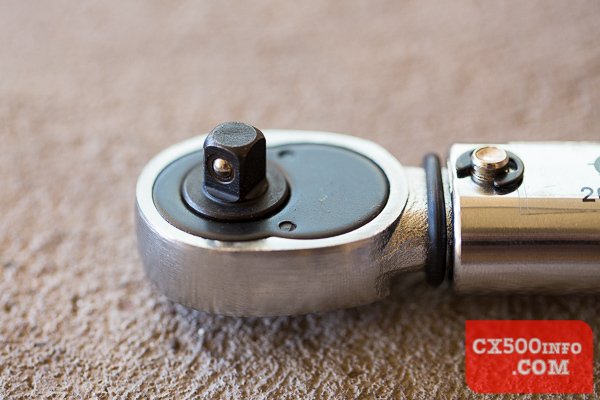 This will be handy if you have a vehicle that needs a reverse threaded bolt to be tightened to a specified torque. 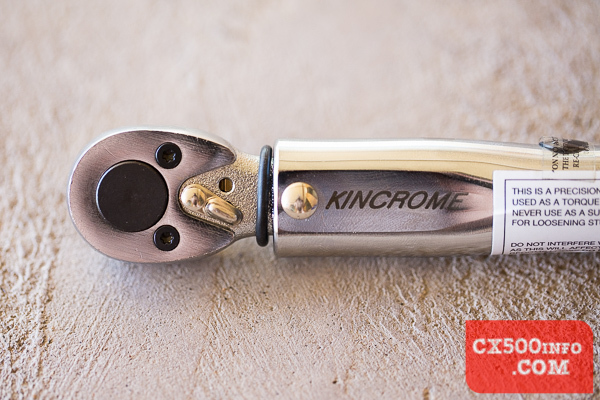 At the time of writing the Kincrome MTW200I has an RRP of $110 incl. GST - as a point of comparison, the deflecting beam variant runs to $179.20. They can be found on the street for around $82 delivered (~$90 at Bunnings) and ~$140 delivered respectively. 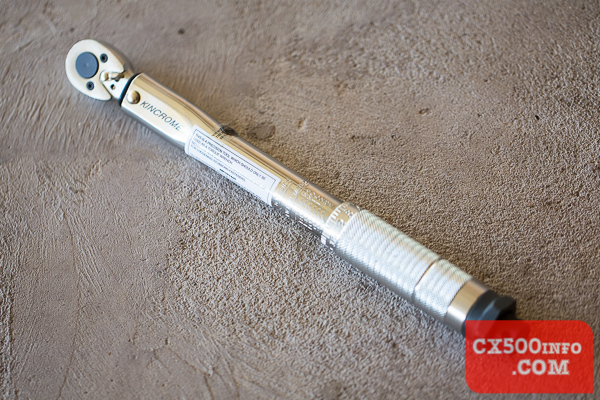 So, is the MTW200I the torque wrench for you? 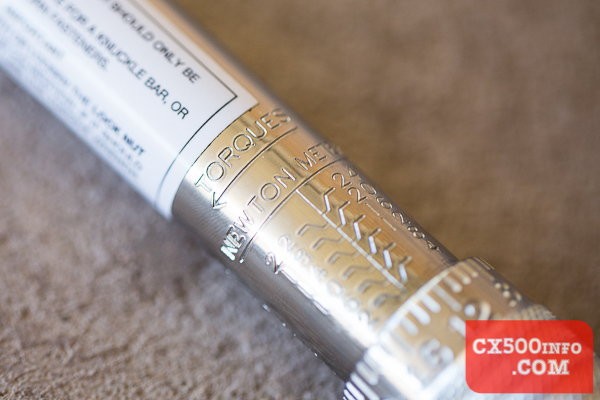 In our opinion it covers an extremely useful range of torque settings, but that range is definitely limited to what you will typically find on smaller bolts - so on it's own it's probably not going to be enough to do all of the jobs you will require of a torque wrench. 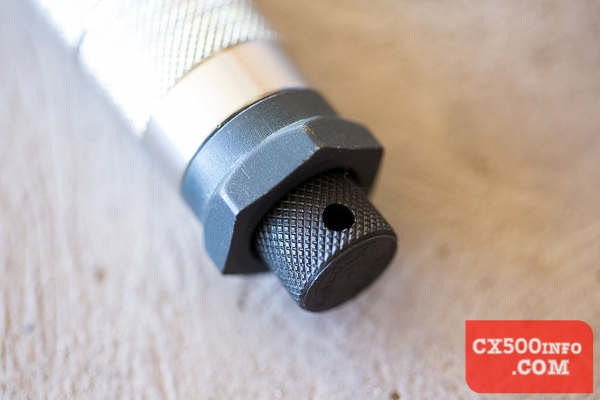 When combined with a 3/8" drive torque wrench you should find just about everything covered, unless you're working on trucks or unusual vehicles (single sided swingarm nuts and the like notwithstanding). 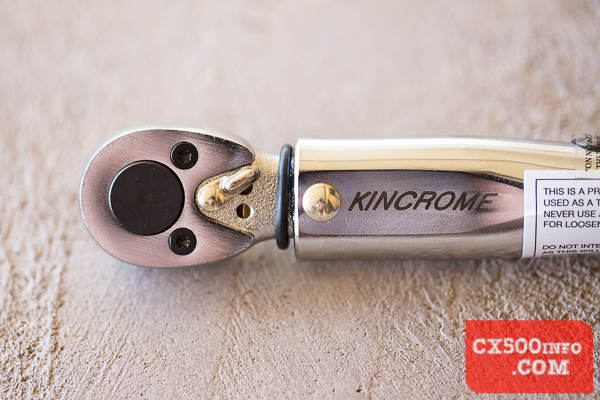 If you have the money the deflecting beam torque wrenches are worth a look but if you want to spend under a hundred bucks and get yourself a quality torque wrench then the Kincrome MTW200I is well worth a look.